So, ultimately, I have faith that the things that cause me pain, sadness, or unhappiness, are, in fact, purposed in some way to bring God glory. Also, I believe that those things will somehow, somewhere, at sometime, for something or someone be good. But still…. I’m human. I get discouraged. I tend to look at someone else’s situation and wonder why mine isn’t working out the same way. I know on the most basic level that to compare ourselves and our situations to those of other people is inherently fraught with trouble. 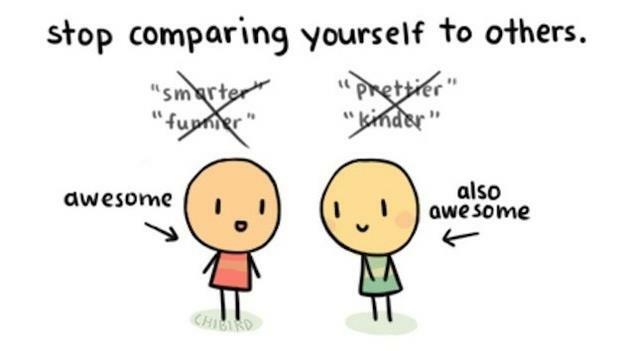 Nothing good can come of comparing yourself to someone else, because we’re all unique. Our situations are all unique as well. In fact, I always told my kids that I couldn’t reward or punish them similarly because the rewards or punishments wouldn’t mean the same to each of them; their personalities and temperaments are so different, the effect wouldn’t be comparable. And I’m pretty sure that God feels the same way toward His kids. So why we compare ourselves when the outcomes can’t ever be equal, I don’t know. Recently, someone asked me about my oldest son, who has walked away from his faith, and for all intents and purposes, walked away from us – his family – as well. Yes, I still talk to him (on occasion), and yes, we email and text (on occasion), but he never reaches out to us. Ever. It’s always a one-sided effort. And when we do talk, it’s all very superficial and empty. So this person asked about my son, and I felt like I almost physically put up a wall in the conversation, because it hurts to even discuss. I told this person what I just shared with you: that when we speak, it’s always quite shallow and at this point, it’s what I feel I need to do just to maintain any kind of relationship with him. This is a child I prayed for. I longed for. This son is someone we raised in the fear and admonition of the Lord. This son knows the Truth, but life for him is seemingly happier without that truth. Honestly, I really feel that the reason he doesn’t want to be around us, talk to us regularly, etc… is because he knows how disappointed we are in the choices he’s made. So it’s easier for him to ignore us, otherwise, he’ll feel that disappointment, and all the uncomfortable guilt that goes with it. Even if we’re not saying it explicitly to him, he feels it. It’s called a conscience. Back to my conversation… Like I usually do when it’s awkward sharing information about my son, I turn the tables, and ask about their family. Everything on their end is all sunshine and light. Of course. I heard about how such and such is over at the house all the time, how happy everyone is, blah blah blah. And I don’t know which made me feel worse, talking about my son, or hearing how swimmingly everyone in this person’s family is doing. Because, whether we want to or not, we compare. All of which are wrong. Wrong, wrong, wrong. Does feeling jealous of the other person’s happiness make anything better? Absolutely NOT! Did I make mistakes as a parent? Yes. Did I do everything wrong? No. Did I even do enough right? Probably, I did at least average, I hope. Is it all on me? No. Am I not listening/praying/obeying God? Well, I do listen/pray/obey, but, I’m sure there’s plenty of room for improvement. Can I “fix” the situation? Doubtful under even the best of circumstances. And so, NO! Several years ago, I was invited to a Bible study led by the wife of one of my husband’s business acquaintances. The bulk of the study was great, but afterward there was time set aside for discussion. The wife began by talking about her childhood as the daughter of two alcoholics. She then shared how the day before she was at her own daughter’s soccer game, sitting in the bleachers next to a “perfect” woman. The “perfect” woman volunteered in several areas of her church, had a comfortable home, caring husband, lovely family, and had been raised in a “normal” home; both her parents were still married after 30+ years. Long story short, the wife leading the Bible study shared how she just couldn’t relate to the “perfect” woman next to her in the bleachers; because she hadn’t been raised by alcoholics, the wife didn’t think they had anything in common. Well, I wasn’t that woman in the bleachers, but for the most part, I might have been. I was raised by two parents who are still married to this day, and the rest is pretty true as well. It kind of offended me that the wife judged this woman by how she looked “perfect” on the outside. Because we all have stuff. Every one of us. Perfection is just an illusion. Stuff that leaves us feeling a hole inside. Stuff that makes us feel less than. Stuff that makes us feel incomplete. The only thing – the ONLY thing! – that fills us is Him. We’re supposed to feel that emptiness and incompleteness. We’re supposed to feel the unhappiness, pain, and more, because God wants us to turn to Him to fill those voids. Yes, it’s been said before. I’m probably saying it really inarticulately right now, but I have to remember this myself. 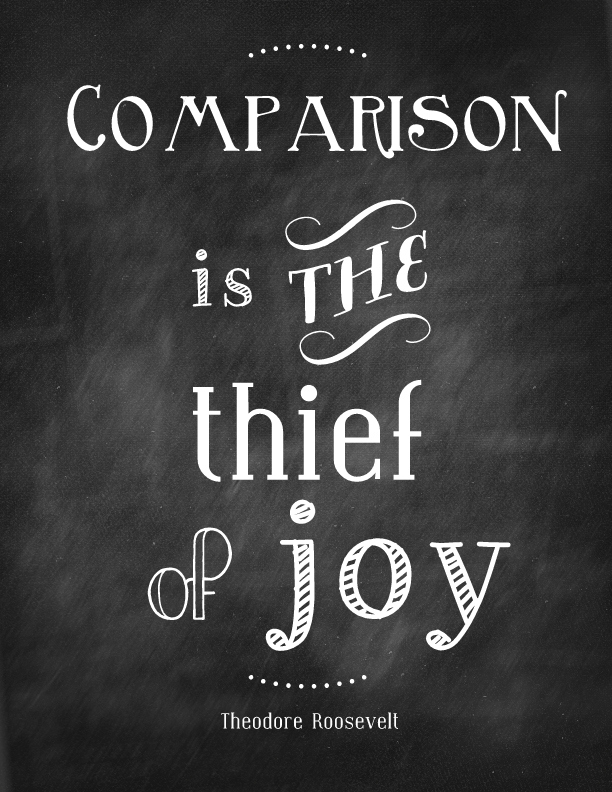 When I’m comparing myself to someone else, I need to remember that person has stuff too. That person is feeling a longing and inadequacy as well. There’s something going on in their life that I can’t see. Something messy and confusing that leaves them questioning themselves on some level. 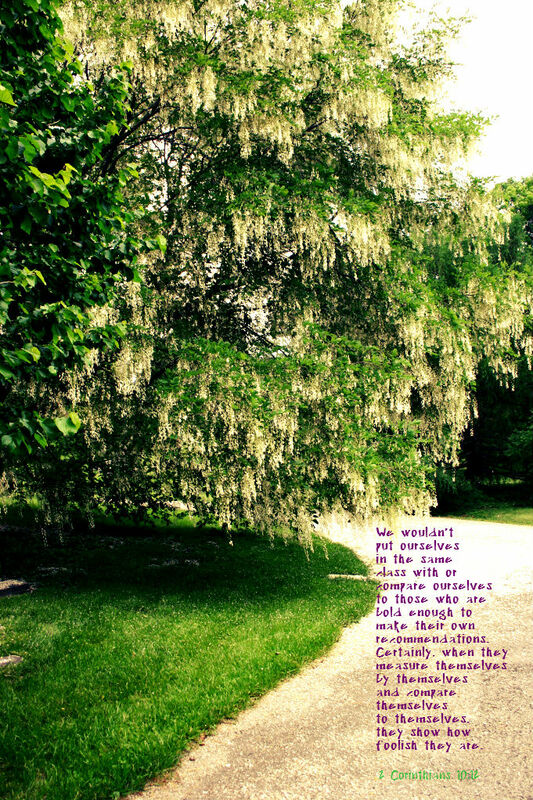 Something that makes them feel insubstantial. So, yeah, I get discouraged, especially when things on my end look bleak in comparison to someone else. But isn’t that the way it’s supposed to be? Because nothing compares to God.